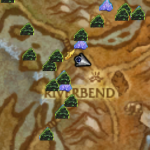 1: Where do they come from? 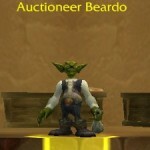 Where can I get one of these? How much do they cost? 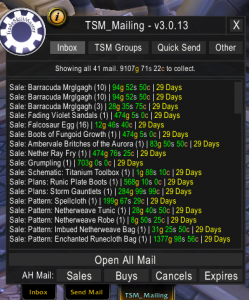 Are they easy to make? 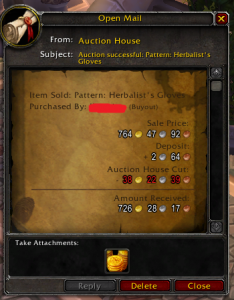 What is stopping other players from getting them? 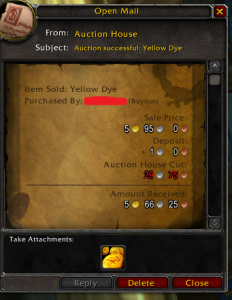 2: How much do they cost? How much do they cost (in gold, time, effort) to acquire, compared to how much they might sell for? 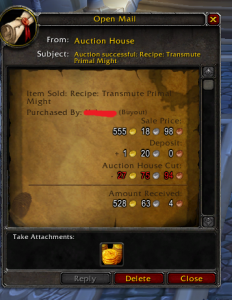 3: How much profit could I make if I copied this? 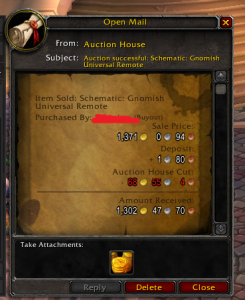 Are they selling at this price because they’re rare? 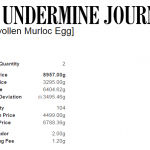 Has the market been manipulated? Can they be flipped? 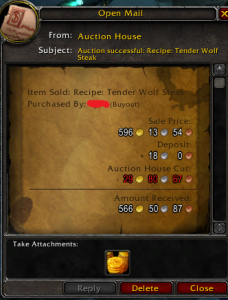 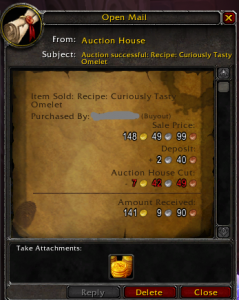 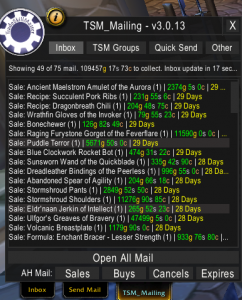 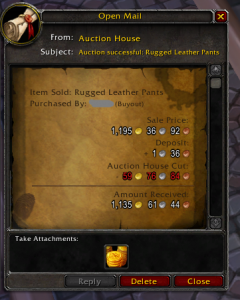 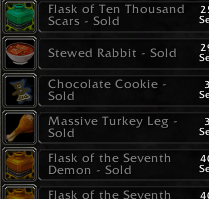 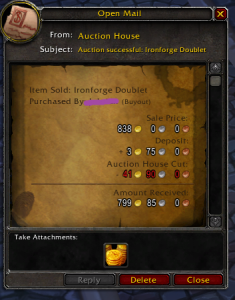 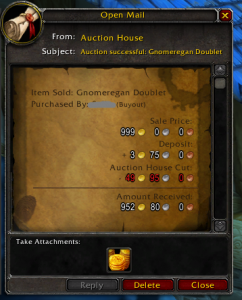 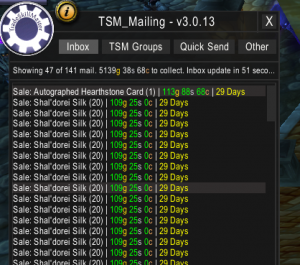 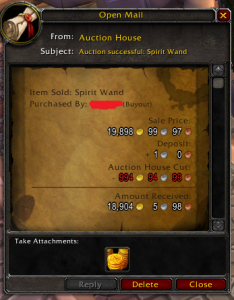 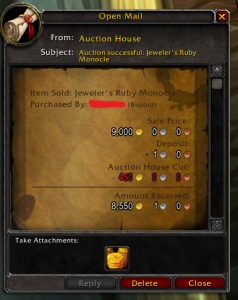 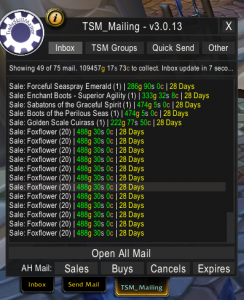 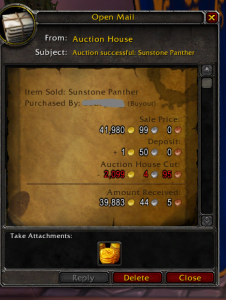 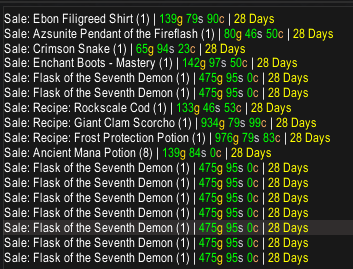 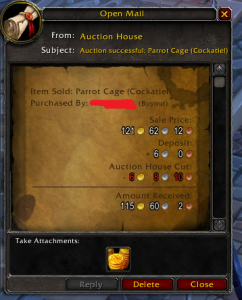 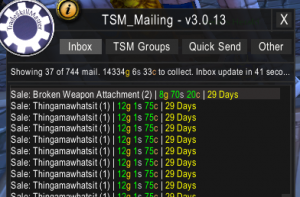 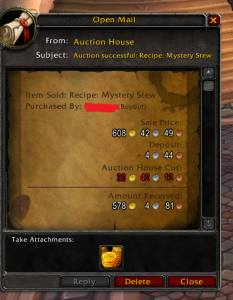 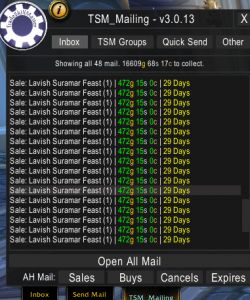 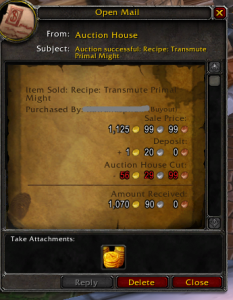 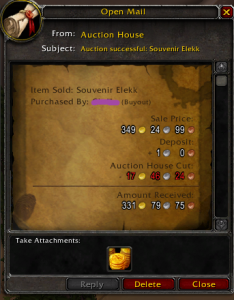 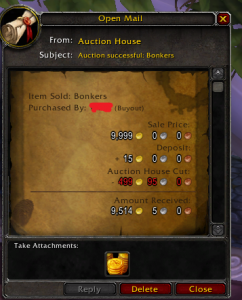 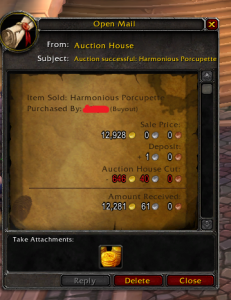 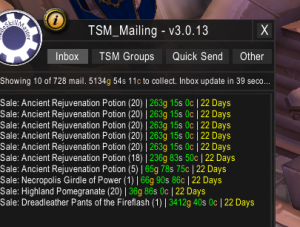 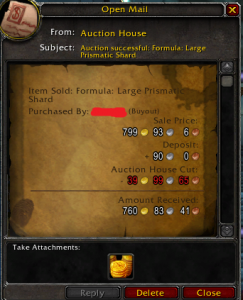 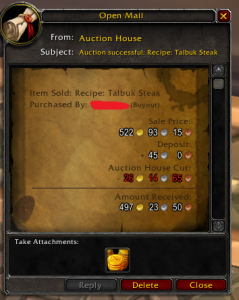 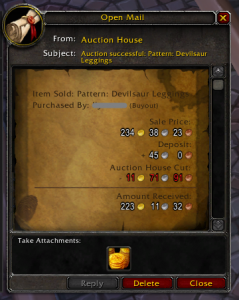 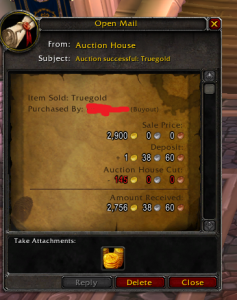 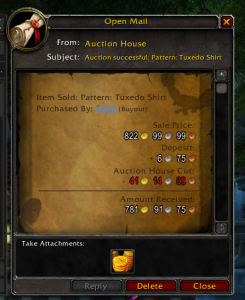 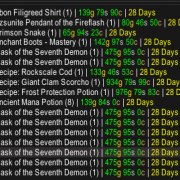 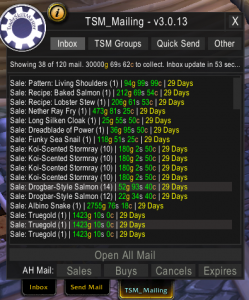 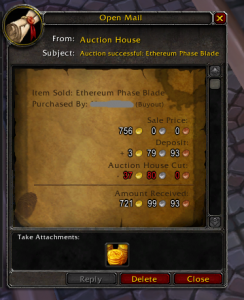 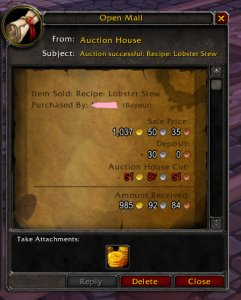 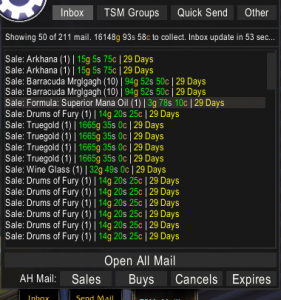 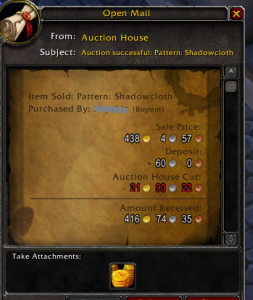 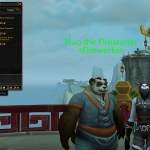 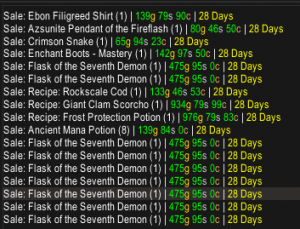 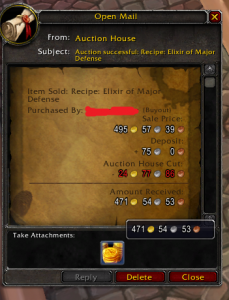 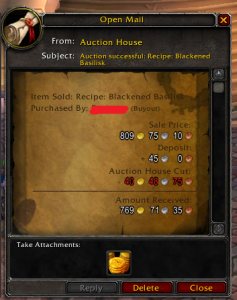 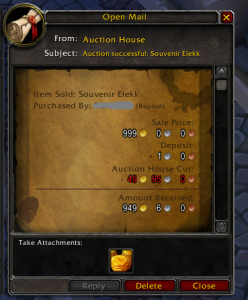 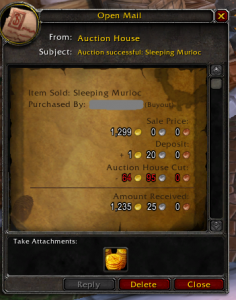 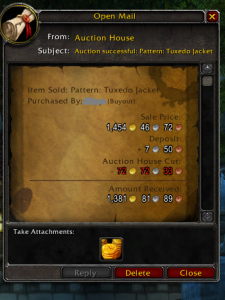 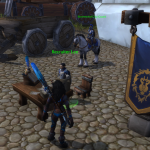 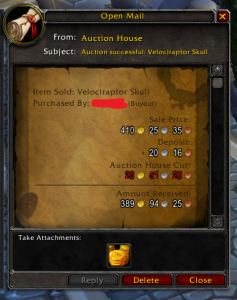 (bought for resale) Can guildies or alts make some for you to sell? 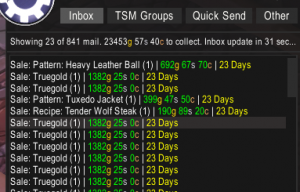 http://www.thegoldqueen.com/wp-content/uploads/2017/04/Screenshot_315.png 269 353 The Gold Queen http://www.thegoldqueen.com/wp-content/uploads/2016/01/smlogo-300x100.png The Gold Queen2017-05-30 16:52:362017-05-29 17:02:44Whats been selling?